Turn left out of the gate and walk down the road for about half a mile. Take the second track on the right signposted to Baysbrown. 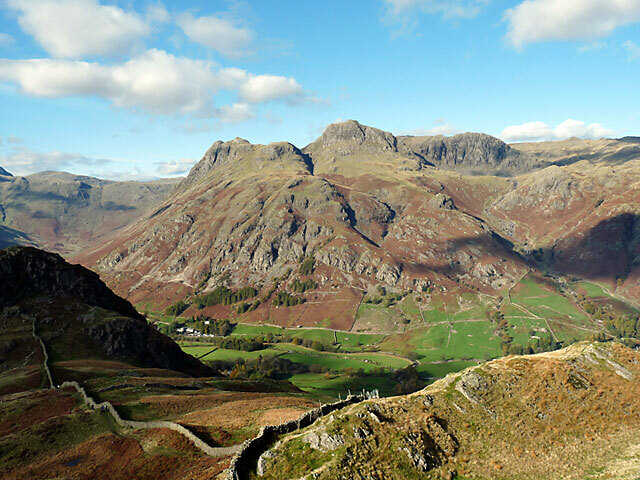 Follow the path across the valley and bear right after the bridge over Great Langdale Beck. Turn left at Oak Howe signposted to Chapel Stile and follow track through the woods, which becomes tarmac after Baysbrown farm. Turn right at a cottage onto a path signed to Little Langdale and then almost immediately right onto a wide quarry track. This rises through woodland and old slate spoil heaps with good views back down into the valley. Eventually turn left onto a path at a marker post (white arrow) and cairn. Climb upwards and turn right at the top through a gate. There are good views of Windermere as you emerge onto the long summit ridge. Follow the path along the ridge with great views in all directions, to arrive at the heather covered summit at 1538ft (469m). 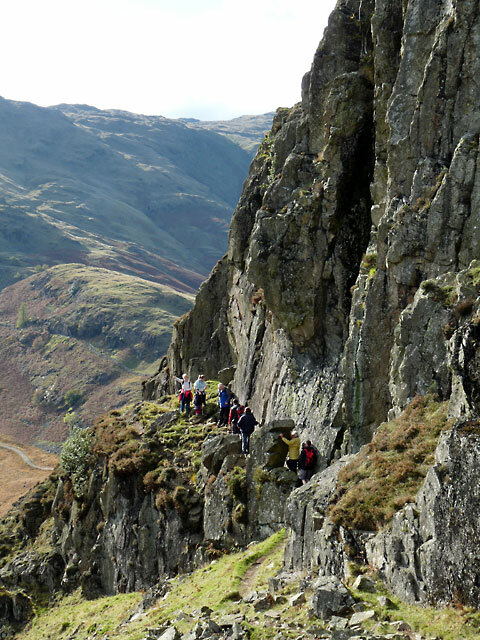 Descend besides the wall on the rough path which is steep in places, to arrive at the formidable looking Side Pike. This can be avoided by taking the path besides the fence down to the road near Blea Tarn. Otherwise go through the gate to the base of the cliff and squeeze through the gap between the cliff face and pinnacle. Follow the path round and up to the top of the Pike. Then take the path down towards the road at the top of Blea Tarn pass. Turn right onto path close to the road and follow down towards the campsite. 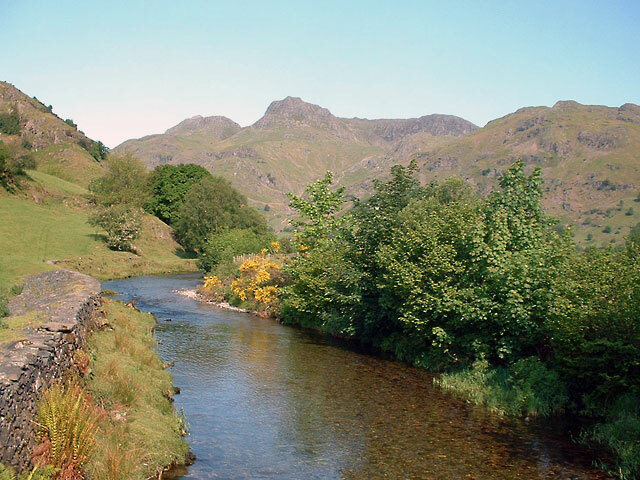 Turn right before reaching the campsite and follow path to Side House farm, turn left and cross Great Langdale Beck to join the road at New Dungeon Ghyll. A final ¾ mile walk along the road takes you back to the cottages. 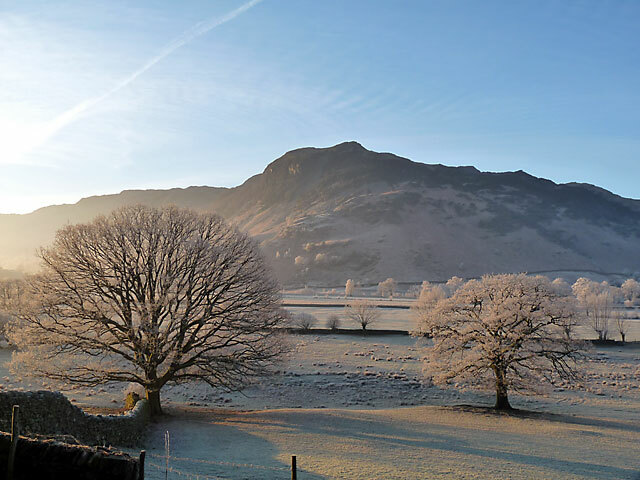 View of Lingmoor Fell from the garden at Long House Cottages. View back down into the valley and Chapel Stile as you climb the quarry track. 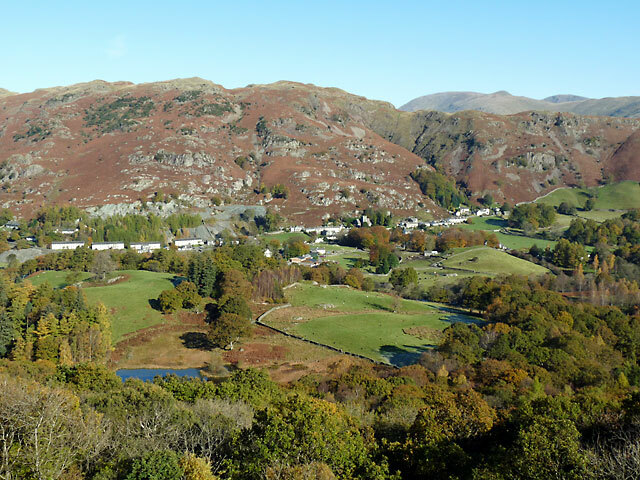 Great views all around from the summit of Lingmoor. This view towards the Langdale Pikes. The cliffs of Side Pike and the route through them.